Want to connect with Orenthal? Family Business Dedicating Ourselves to Performing our Services to Your Expectations with Fast, Professional and Quality work. 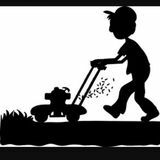 Basic Service includes cutting,edging,weeding and blowing. If you want to set up recurring service we can lower price. Additional services include Weeding, Small Tree Trimming, Pressure Washing and Hauling. We also give discounts to customers who give multiple referrals. We are a complete landscape service provider with over 300 five star reviews on the internet.